Over 80 songs and 60 characters planned. 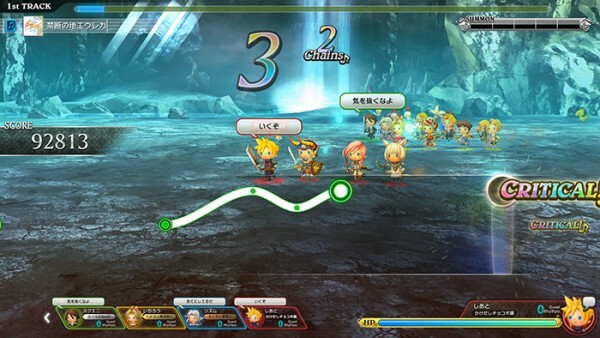 Theatrhythm Final Fantasy: All-Star Carnival, Square Enix’s newly announced arcade game, will launch in Japanese game centers this fall, the company announced at the Japan Amusement Expo in Chiba today. The game uses a two-button and two-joystick control scheme for a more enjoyable experience. Players will be able to play cooperatively with other players from all over the country online, and version updates will add new songs and characters.